Configured for the tethered shooter, this Tether Tools TetherPro USB Cable with TetherBLOCK Mounting Plate Kit from B&H includes the 15'-long, black TetherPro USB Type-C male to Micro-USB 3.0 Type-B male cable along with the TetherBlock MC Multi Cable Mounting Plate, which aids in cable management and protects your camera's USB port. 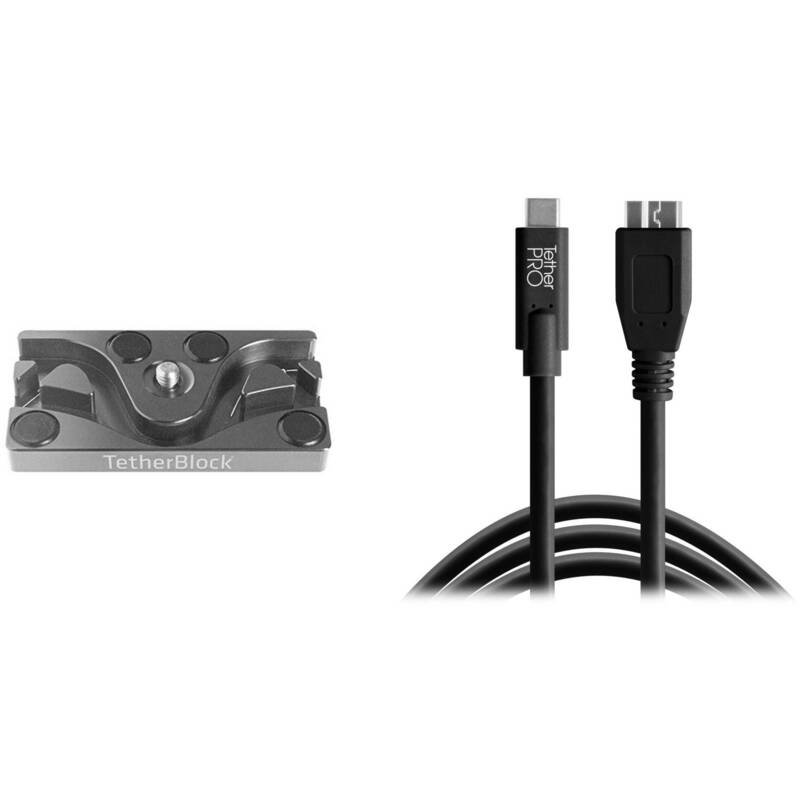 With this black, 15 ft long Tether Tools TetherPro USB Type-C Male to Micro-USB 3.0 Type-B Male Cable, you can connect a camera, smartphone, or other USB Type-C device to a computer, for the purposes of transferring data. This cable supports USB 3.0 for data transfer rates of up to 5 Gb/s. Box Dimensions (LxWxH) 6.4 x 4.3 x 1.7"